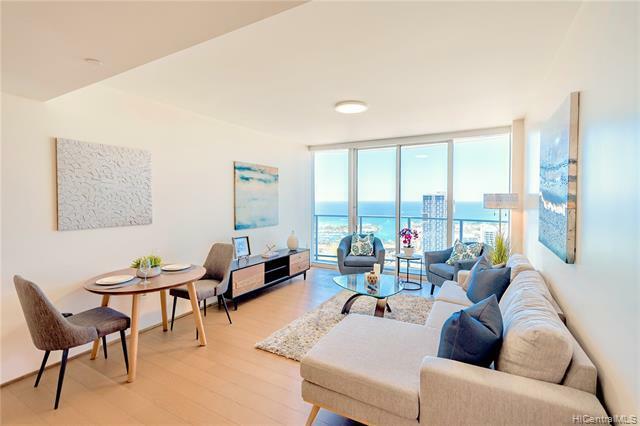 Move into one of Honolulu's finest luxury high-rise condominium complexes, Symphony Honolulu. 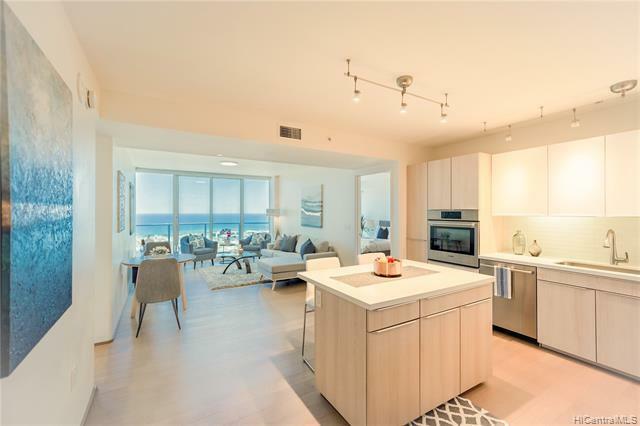 This move-in ready high floor two bedroom, two bath unit offers spectacular panoramic floor-to-ceiling ocean views from every room. 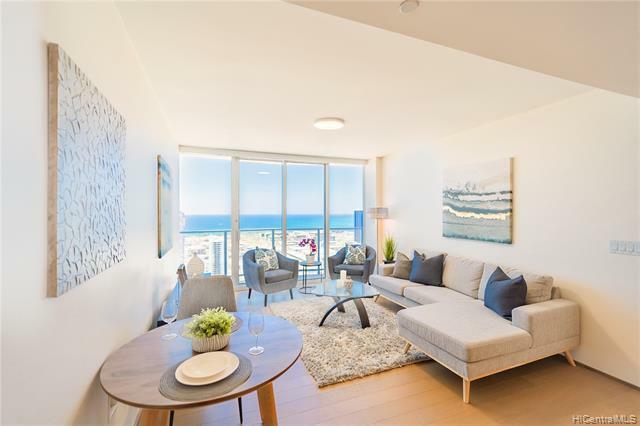 Enjoy luxurious upgrades including Bosch appliances and beautiful oak flooring throughout the kitchen and living areas and entry foyer. Two side-by-side parking stalls located close to elevator. 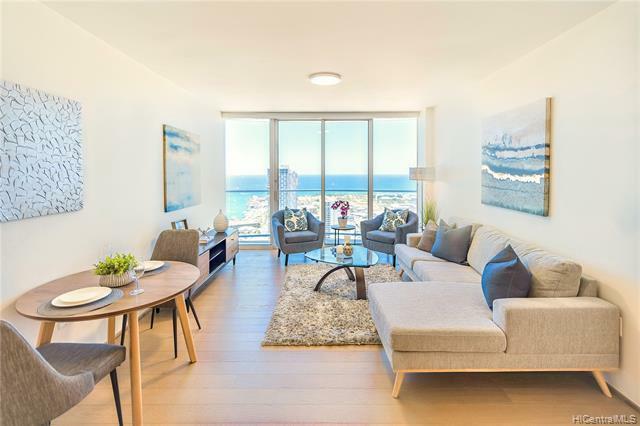 This must-see unit is conveniently located in vibrant Kakaako and close to shopping, the beach, restaurants, downtown, and hospitals. Enjoy the building's resort-like amenities including a heated salt water infinity pool, Jacuzzi spa, saunas, fitness center, yoga studio, treatment room, barbecue cabanas, multimedia room, owners lounge with full kitchen, guest suites, and dog park.